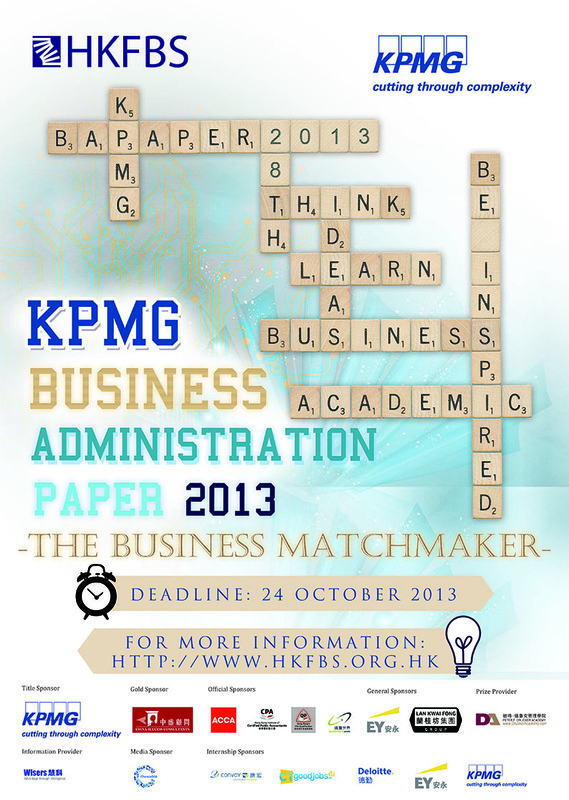 With a history dating back to 1986, Business Administration Paper (BA Paper) is one of the oldest inter-university and international business plan writing competitions and is annually organized by Hong Kong Federation of Business Students. Initially, BA Paper was carried out in an essay-writing format. In the mid-90's, BA Paper evolved into a case competition in order to keep our members abreast to the dynamic business environment. Stepping into the 21st century, BA Paper began launching training sessions to inspire contestants on related topics to the competition, making the BA Paper experience not only about competing, but also self-developing. Competition with foreign teams was spearheaded in 2004 when the best foreign team from Tsinghua University of Mainland China competed with elites in Hong Kong. As for today, BA Paper welcomes application from the nine local universities’ students, and overseas universities’ students with our reach expanding to Mainland, Singapore, Japan, Europe, United States and many other countries. In its coming 28th year, we will strive to continue the tradition of excellent work. Please join us before October 24, 2013 to bring the business ideas buried in your mind to life!